Epic Games has officially rolled out "Fortnite's" V.2.5.0 update as it ushered in new contents, improvements, and bug fixes on both of its Save the World and Battle Royale modes. That being said, a lot of players are claiming that they've come across something freaky within the game as this was somewhat taken from "Attack on Titan." After the latest update went live a couple of days ago, players begin noticing giant heads popping out of nowhere during the game. These bizarre-looking heads look like it came out from the post-apocalyptic manga/anime series – "Attack on Titan." 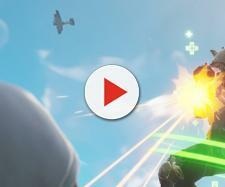 A "Fortnite" fan even posted a gif on FortniteBR's subreddit as other players claim that they too encountered the said bug. Other fans believe that it would a great idea as they suggested a so-called titan mode to be included in the game. A member from Team Epic also took notice of the said post and advised the player base to "band together to stop the Titans" and went on stating that players need to get their "jump pads and boogie bombs ready." Another player also posted such encounter on YouTube where he saw a titan-looking head from a distance. The gamer even tried sniping it but to no avail. Meanwhile, Epic has recently announced a PS4 exclusive for "Fortnite's" Battle Royale. 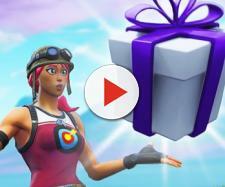 The PlayStation Plus Celebration Pack introduced a new outfit and a glider as these new cosmetics are offered free of charge for PlayStation Plus members. It is not yet certain, however, if this collab between Sony's console and Epic's third-person shooter would yield additional PS4-only content. 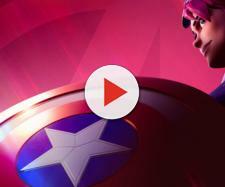 Additionally, the devs have yet to announce such exclusivity to other platforms. In line with this, the game's Save the World mode got a new set of heroes (Lunar New Year Heroes) and weapons (Dragon Weapons) via the current update. The game maker also announced the extension of the game's second season until February 21.